If your interests lie in home security, entertainment, health, automation, energy management, or networking, you should consider attending the CEDIA EXPO, which is being held September 25 – 28 in Denver CO. Whether you are a dealer, installer, or a curious consumer, this is the show you don’t want to miss. You will learn the technical and business side of the industry, see the newest innovations, and be able to talk to the manufacturers. If you are a do-it-yourselfer, learn how to design and install your own home theater, multi-room audio or home automation. Learn how to bring out the best in today's highly sophisticated systems for your home’s unique needs. Or, if you want professional help, CEDIA will help you find the right professional, while the EXPO will feature all of the systems that you are considering. As a dealer/installer, the latest industry techniques will be demonstrated in over 100 courses. Learn to grow your business and expand your career from audio and video, electronic systems design to home networking courses, as well as home theater certification. Some of the manufacturers that are presenting training courses are: BitWise Controls (Basic program and systems design), D-Tools (Creating a project in D-Tools system integrator), Furman Sound (Power up your sales), SpeakerCraft (Setting the mood – outside), and many more. Check out Rookie Row on the show floor to see what businesses are breaking into the industry. Visit the New Solutions Village to find exciting new solutions for your business. Gefen will be introducing their new modular matrix card frame with built-in signal extension, the 32×32 HDFST (High Definition Fast Switching Technology) Modular Matrix for HDMI w/HDCP. 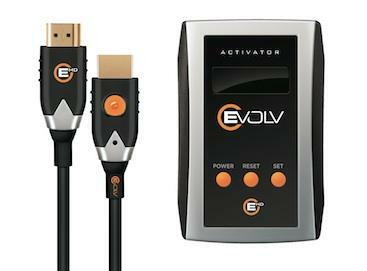 This new system supports up to 32 high definition sources and 32 displays using HDMI. Each source can be integrated and cross-point routed in any configuration. The modular approach offers HDMI extension over CAT-5 cable using Gefen ELR (Extra Long Range) technology based on HDBaseT for added flexibility. Gefen is also introducing their TV high resolution USB to audio decoder, which supports resolutions up to 192k so it is ideal for anyone who wants high fidelity sound coming from a computer-based audio source like iTunes, Pandora or Rhapsody. It also eliminates the static and noise that you typically hear when decoding analog audio to digital audio using the traditional analog audio format. Visit Gefen at Booth 1500. When Autonomic showed its first multi-zone digital amplifiers at CEDIA 2012, integrators ate it up. Now the Mirage Audio System is shipping, and integrators have more reasons to love it. This year, Autonomic has added some new features to the product line, as well as new interfaces. The company now offers a Cat 5 powered in-wall iPod dock made by iPort. Unlike iPort’s own product, though, Autonomic’s MKP-iOS has a customized power board engineered to mate with the new Mirage amps. Stop by Automic’s Booth 3825. Wilson Electronics, manufacturer of North America’s top-selling line of cellular signal boosters, announces its latest line of 4G indoor signal boosters built to improve voice and data communications in buildings with weak cellular signal. These multi-band boosters amplify signals for devices operating on AT&T,® Verizon Wireless™ or T-Mobile™ 4G networks, as well as signals on the legacy networks of all North American cellular service providers. Even in areas covered by strong cellular signal, wireless service customers inside buildings often cannot access reliable service. These boosters amplify available signals and bring them inside the building so people working, living or shopping have strong, reliable cell service for voice or data. These new models feature cell site protection technologies, developed through cooperative effort between Wilson and several major cellular carriers that prevent the possibility of interference with any nearby cell tower. Booth 1747 is where you will find Wilson. You love music, but your favorite songs are trapped on CDs, which are challenging to transport, and sort. 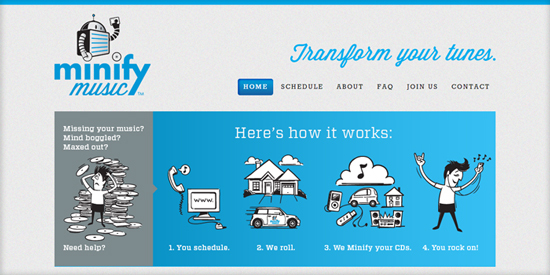 MinifyMusic transforms your music to any portable device. They come to your home with their proprietary, portable, high-tech, robotic equipment and transfer your CDs at lightning speed so you can enjoy them again on your phone, computer and iPod®. They’ll even leave you a USB thumb drive containing all of your permanently archived tunes. To learn more, stop by Booth 2963. Bogen is introducing its new G8 outdoor, in-ground, all-weather speaker. The NEAR G8 speakers are fully-sealed outdoor speakers which provide exceptionally natural sound and will withstand all types of weather conditions. 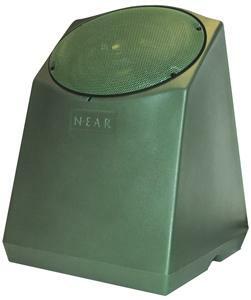 These speakers combine two patented technologies from NEAR: (1) Metal Diaphragm Technology which ensures speaker cone stability in all environmental conditions; and (2) Magnetic Liquid Suspension, a Ferrofluid seal around the magnet gap and voice coil, providing protection from moisture and corrosion, as well as perfect voice coil alignment. The cabinet is a near-indestructible polyethylene enclosure with a heavy gauge stainless steel grille, protecting the drivers from projectiles or other objects, as well as being resistant to chipping and scratching. The enclosure color is molded-in, meaning the entire thickness of the wall is the same color, not a thin paint coating. 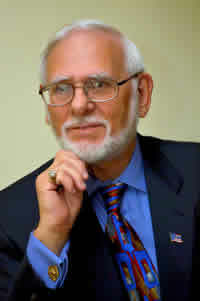 See this speaker at Booth 1724. Just walk down the aisle to Booth 1729 and check out Leviton. HAI by Leviton is now shipping its OmniTouch 7 Touch screen, which offers quick, enhanced home control with a faster processor, upgraded graphics, and an improved user interface. Featuring a beautiful 7” HD capacitive touch screen with swipe technology, the OmniTouch 7 streamlines user interaction. Observe enhanced video surveillance; access all of your security, energy, and entertainment settings; and intuitively control every system in your home. The new capacitive touch, glass front Touchscreen from Leviton Security & Automation. Features a 7” diagonal viewing area at 800×480 resolution for control of your security, energy, and entertainment settings. The swipe technology supports use of slider control bars, and a light sensor allows automatic dimming of the display backlight. Luxul, a specialty manufacturer of IP networking solutions, will feature ten new products at the EXPO in Booth 2350. All ten products are part of the Luxul Xen family of IP networking equipment. Products on display will include 802.11ac Gigabit wireless routers, high-powered concurrent dual-band wireless access points, Power over Ethernet (PoE) switches and Gigabit broadband routers. Luxul Xen incorporates a full line of pre-configured modular solutions that simplify network design and deployment, while delivering a reliable and scalable network that is powerful, yet easy to install and manage. Be sure to visit the Metra Home Theater Group at Booth 110 and check out their EHD EVOLV cables, which combine radical design techniques, state-of-the-art silicon, and system-specific custom programming functionality to form a high-powered solution for Ultra-HD video applications. Metra’s DPL-certified cables are capable of Ultra HD cable runs of up to 150’, eliminating the need for additional baluns. In the Basalte Booth (2566), you will find their new product, Eve, which is a refined and elegant on-wall mounting frame perfectly complementing the iPad. Eve comes in different finishes for iPad or iPod mini and can easily be mounted on the wall. As the frame is an on-wall solution, the installation is very simple. Vision Art will bring its Vibrandt TV and sound-bar concealment system to Booth 3300. It’s a surface mount solution with front panel artwork to hide a wall-mounted TV and sound-bar. Vibrandt delivers mind blowing sound in a complete home theatre concealment system. The inclusion of Vibrandt sound bar technology to their all in one LED TV + Fine Art + Frame solution makes for the ultimate home theatre concealment system. If you are planning to install a flat panel television into a tastefully decorated room, chances are you will want to conceal the TV along with any speaker setups so as not to detract from your decor. Vision Art may have the ideal solution that conceals your equipment behind museum quality art prints when not in use. Séura’s exclusive mirror technology is surprisingly magical. 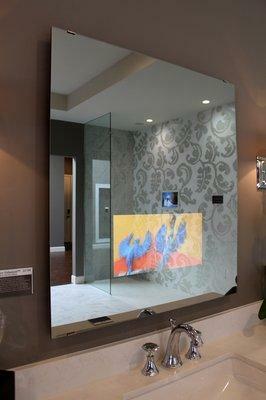 When on, enhanced TV mirrors provide immediate access to news and media. When the TV is off, the television completely disappears without a hint of its technical applications for a truly vanishing effect. You decide when a television is in the room with the simple push of a remote control button. 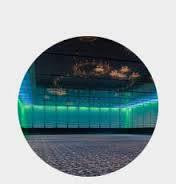 Séura’s own specially formulated glass coatings deliver a flawless, 100% color-accurate reflection. Séura’s TV mirrors preserve the integrity of your décor for unlimited design possibilities. Check them out at Booth 506. The Hollywood premiere finally comes home. Until PRIMA Cinema (Booth SR-14), only select industry insiders were able to watch theatrically released films in the comfort of their own home. PRIMA Cinema delivers the same blockbuster movies playing right now in the public box office directly to our member's private home theater. PRIMA Cinema is the world's first and only entertainment service to bring first-run movies to dedicated home theaters. PRIMA Cinema Authorized Dealers are the first to offer this unique service to their clients. PRIMA Cinema gives their clients complete control, security and a new way to entertain in the comfort of their own home. Check out Monitor Audio's compact Airstream S300 in Booth 2918. It is a powerful new 150W stereo speaker system bristling with high-tech audio design features and easy to use wireless technologies. Also Airplay enabled, the S300 provides unlimited access to music streamed from the internet or stored on a computer, smartphone, iPod/iPhone or tablet, and uses a custom-tuned high-caliber audio system to liberate new energy, detail and dynamism from every source. Crafted from an acoustically ideal mineral-filled polymer and beautifully styled in a choice of durable white or charcoal grey finishes, the S300 is complete with toughened glass end trims. 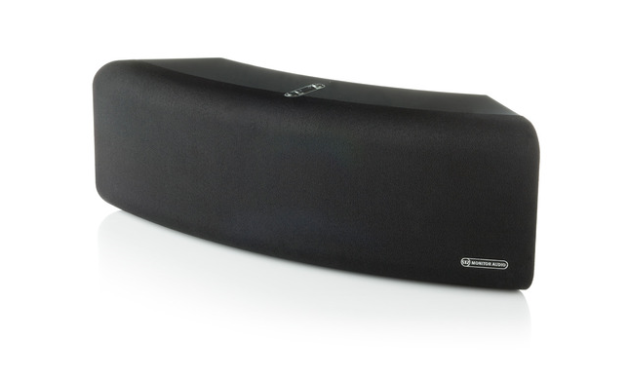 The curvy S300 exudes designer quality from shelf, table top or wall-mount, and delivers excellent audio performance for truly connected music lovers. In Booth 2555, Hidden Vision’s Flip-Out TV mount adds style and saves your neck. The Hidden Vision TV mount hides a TV inside a picture frame and flips 180 degrees to reveal the TV. When not in use, simply flip the TV back to the picture side. A simple 4-bolt installation requires no major furniture or home modification. The Trinity Power Cord LED Driver/Dimmer™ is the first fully digitally controlled power source for LED applications providing the ultimate in energy efficiency performance and configuration flexibility with both DMX512A and Analog 0-10Vdc communication interface and capable of driving and dimming multiple LED Lighting fixtures. This UL listed solution offers AV/LV Low Voltage installers the opportunity to install low voltage lighting systems without an electrician for residential and commercial applications. Drop in to LumaStream’s Booth 459. 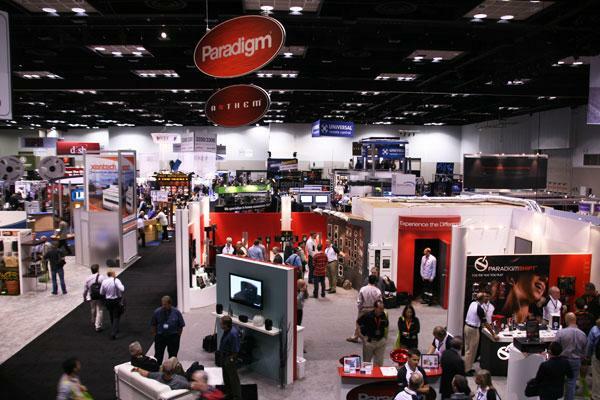 CEDIA EXPO is the premier event for the custom residential market. You will experience solid technologies and interactive displays along with qualified manufacturer personnel. Get answers, not brochures.